At the end of the 19th century, Munich took great pleasure in two new beaming additions to the city: the golden Angel of Peace and the first lager beer speciality, Münchner Gold. Still brewed by us to this day according to the age-old recipe, this slightly stronger beer is a mature masterpiece and delights with its enticing malty aroma and its slightly stronger original wort. The main focus of Hacker-Pschorr is the art of brewing and enjoyable beer. But at the same time it also maintains a strong connection to its regional roots. As a regional brand in southern Bavaria, Hacker-Pschorr is recognised in Munich and the Bavarian uplands as a partner to regional clubs and associations in the areas of both sports and culture. Whether it’s football, ice hockey or volleyball – the brewery supports elite clubs as well as regional associations and athletes. 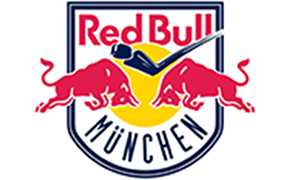 The EHC Red Bull Munich plays in the German Eishockey League (DEL). 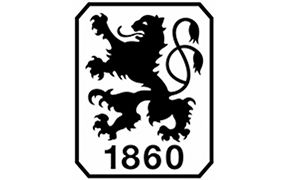 The TSV 1860 Munich plays in the 3rd league. 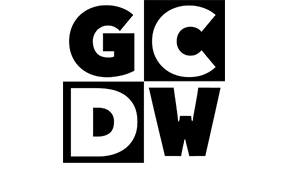 The GCDW Herrsching plays in the 1st Volleyball National League. 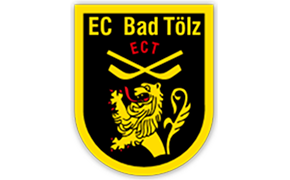 The EC Bad Tölz plays in the 2nd German Eishockey League. 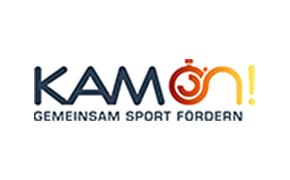 KAM on! is a crowdfunding platform for sport projects. Traditional Bavarian food improved by the personal finesse of Munich’s star chef Alfons Schuhbeck - your basic recipes for a Bavarian meal. Cut the potatoes in 1 cm large pieces, cube the streaky bacon, carrots, leek, onions, garlic and celery in very small pieces (brunoise), chop the herbs, sautée the streaky bacon, onions, vegetables and garlic. Add the potatoes and fill up with bouillon, let it simmer for about 15 to 20 minutes. Season the soup, serve the soup with chopped parsley or chervil and roasted bread pieces. Cut the rind with a very sharp knife into diamond shape or already have it pre-cut by the butcher. Rub the rind and the meat with lots of coarse salt, caraway seeds and pepper. Give the meat with the skin facing down to the roasting pan, with about 0.5 litres of boiling stock poured over, and cook for 0.5 hour on the middle rack in oven at 190 °C. Take out roast, add chopped onion, carrots, celery and leek, and add the roast again with the skin side up. Roast for another 1.5 to 2 hours in the oven at 150 °C. Brush the roast every now and then with the gravy in the roasting pan. About 30 minutes before end of cooking time, turn oven to 220 °C, provide top heat, and pour the dark Hacker-Pschorr beer over the roast. Remove the finished roast, take off the crispy crust with a knife, and cut into several small pieces. Pass the gravy through a sieve, reduce in a cooking pan for about 10 minutes until you have a more thickened texture. Then carve the roast and place next to the crust. Serve with gravy, potato dumpling (or even with bread and pretzel dumpling) and Bavarian coleslaw. Bring water with laurel leaves, white pepper beans and cloves to the boil. Add pork knuckle and simmer for about 30 to 40 minutes. Preheat the oven at 250 °C. Chop mirepoix, onions and tomatoes and place in dripping tray of oven. Place the oven grid above dripping tray and place the pork knuckle on it after it has been well drained. Add the stock to the vegetables and move all into the preheated oven for about 60 to 90 minutes depending on the thickness of each pork knuckle. About every 15 minutes, deglaze the pork knuckles with the beer. Pass roasting juices in dripping tray through a sieve. Add a knob of butter and stir well to bind sauce better. Serve with potato dumpling and Bavarian coleslaw. Stir flour, milk, a dash of salt, lemon grit and rum. Separate eggs and add the egg yolk to the flour-mix, then stir the flour mix. Whisk egg whites with sugar and pinch of salt to a creamy texture - when egg white form firm peaks when whisking, it is ready. Carefully fold the egg whites under the batter mix. Put butter oil in a pan, pour the batter in the pan cover with a few raisins and almonds, and bake in the oven at 200 °C. When the pastry is dry on top, break it in pieces with two forks. Put icing sugar on top. Butter sliced on top of the pancake pieces. Caramelize it with the icing sugar and the butter in the pan. Put on a plate and put again icing sugar on top. Serve with plum or apple compote. Chop the camembert in small pieces and whisk it with butter. Chop onion into brunoise (cubes), add, together with the egg yolk, to the cheese butter mix, and stir again. Add caraway seeds and paprika powder, mix again. Season it with salt. Garnish with freshly chopped chives and rings of red onion. Are you looking for a nice pub to stop at, or do you want to go out tonight but don’t know where? We have put together a special selection of Hacker-Pschorr restaurants just for you. The Donisl is with over 300 years the oldest Bavarian restaurant directly at the Marienplatz. In 2015 the Donisl was reopened in new splendor. One thing was always in focus: this unique Bavarian inn heritage shouldn´t lose its tradition despite a new era. Equally important was to give the Donisl a fresh breeze and a new soul. The historic facade remained intact, and the building was completely rebuilt behind it, with the aim of bringing together old and new as well as tradition and modernity. At the Donisl you can enjoy either traditional Bavarian classics or the modern interpretations, which the kitchen crew develops with a lot of creativity and passion. In 1738, the brewer Simon Hacker bought the “Prew in Haggeviertel” (brewery in the Hagge quarter), which was henceforth known as the “Hacker Bräu.” After a fire in 1825, construction of the current building was started in 1829. Hackerhaus was renovated in the 1980s and reopened by the Pongratz family in 1985. Tradition is the priority here, both in the décor and menu, but the service and organization are absolutely modern and progressive. Der Pschorr is located in the heart of Munich near the Viktualienmarkt, Germany’s largest open-air market. It is a place where Bavarian hospitality intersects with traditional beer culture. The beer is cooled in wooden barrels on blocks of ice like in yesteryear, making it especially drinkable and enjoyable. Visitors from around the world meet here to have a great time or relax in style. The first mention of this traditional restaurant dates back to 1633. Since 1901, it has been known as the “Bratwurstherzl.” The restaurant is a Bavarian idyll where guests can watch bratwurst grilling on an open beech wood fire under a 350-year-old brick vaulted ceiling. Everyone receives a warm welcome in the Heide Volm restaurant in Planegg near Munich, be it a visit to the restaurant or the beer garden, a meeting, or parties such as birthdays or weddings. Here, hospitality is tradition, and the restaurant has the right setting for every event – whether it’s the great banquet hall or the bright and airy winter garden. The estate has been in the same family for four generations. An in-house butcher ensures for the freshness and quality of the cuisine. The name dates back to when King Max II fenced off a large area as a hunting ground or Wildpark in 1848. In 1904, the restaurant was named “Zum Wildpark.” Of course, such a rich tradition creates a wonderfully welcoming atmosphere, of which the family-owned business is particularly proud. With stunning lake and mountain views, the Seehaus Schreyegg restaurant beckons from its beautiful location on Ammer Lake. The Schreyegg Seehaus offers an elegant atmosphere, culinary specialties and regional delicacies. The Bar & Lounge serves up fabulous cocktails. Besides the restaurant’s fantastic beer garden right on the water, the other many highlights include cocktail lessons or the extensive cigar cart. The Kreut-Alm is nestled in an absolute Bavarian mountain idyll. Kochel Lake and Loisach Valley, the Benediktenwand mountain ridge and Herzogstand peak are just some of the many incomparable natural wonders surrounding the Kreut-Alm restaurant. Formerly part of the monastery Schlehdorf, a “Schwaige Kreuth” is mentioned as early as the 8th century. In 1970, farming was halted, and a restaurant (originally planned as side business) was converted into the “Kreutzer Alm” alpine restaurant. The establishment can accommodate up to 500 persons and also serves cool, refreshing Hacker-Pschorr beer. The Hacker-Pschorr Fan-Shop is run by our longtime partner Holfelder GmbH in Unterföhring near Munich. The embedded online shop is a service of the Holfelder GmbH, so their respective terms and conditions apply.